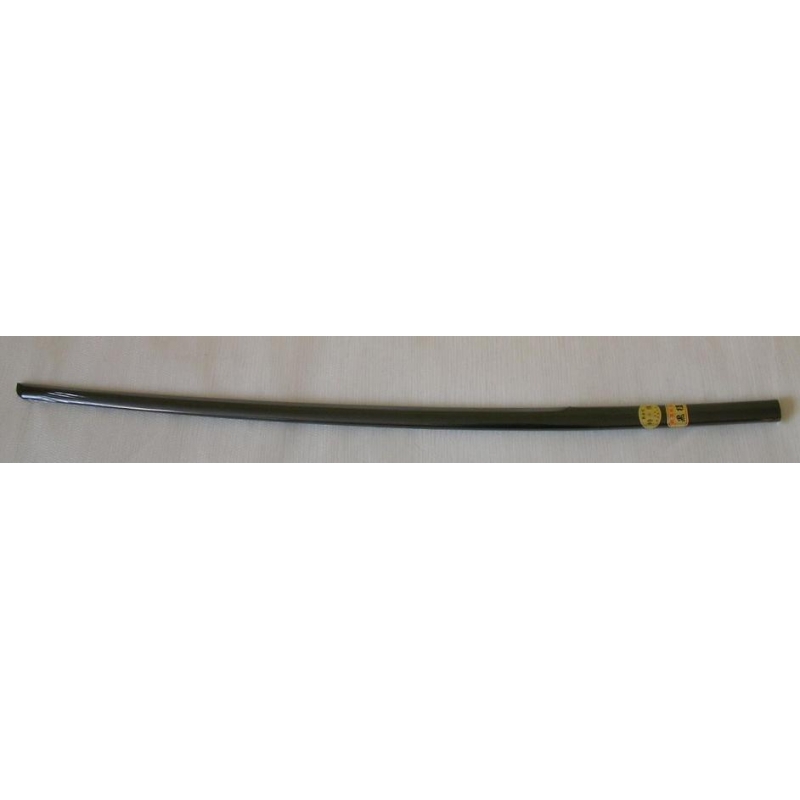 Japanese wooden sword, bokken / bokuto Aikido made of shiny ebony. 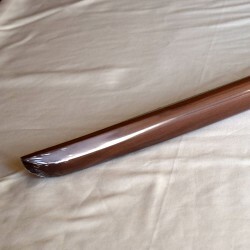 Ebony is a dense dark brown hardwood and this sword has a shiny beautiful surface. 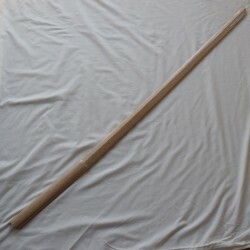 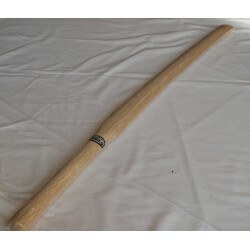 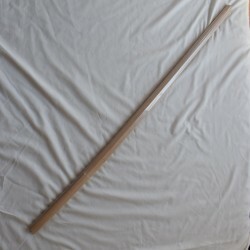 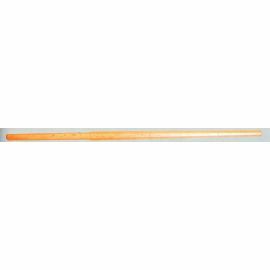 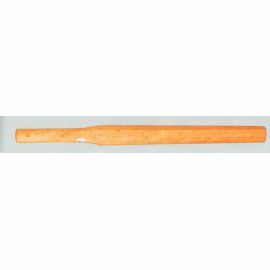 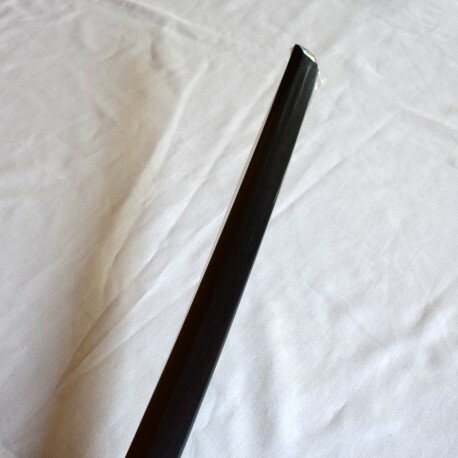 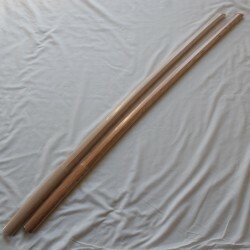 This Bokken Yagyu Ryu is slightly curved and thin, with a round tip (kissaki). 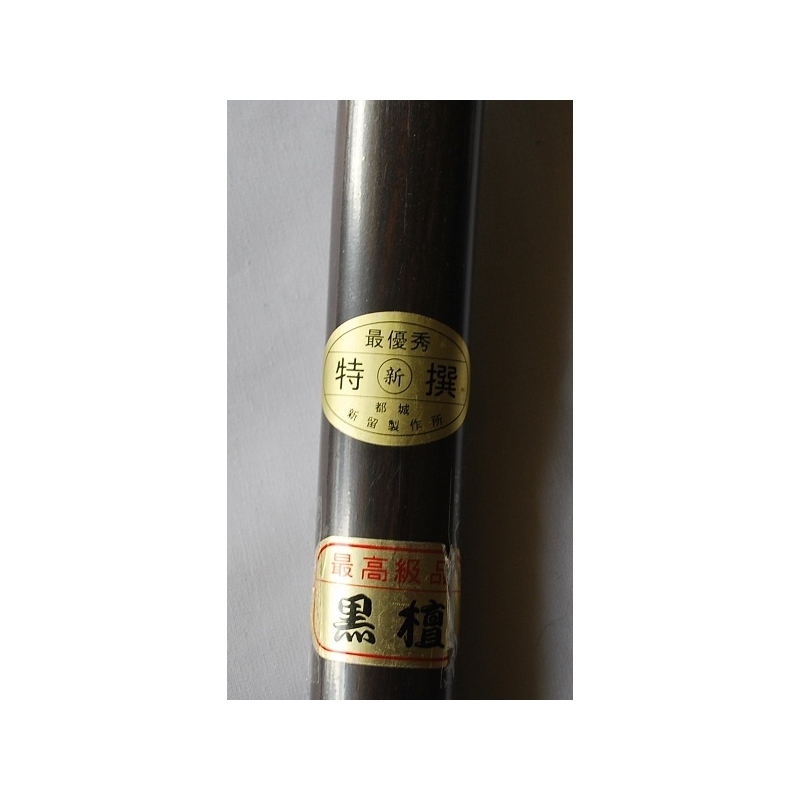 It is strong and resistant to moisture. 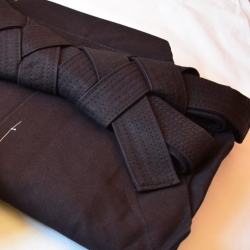 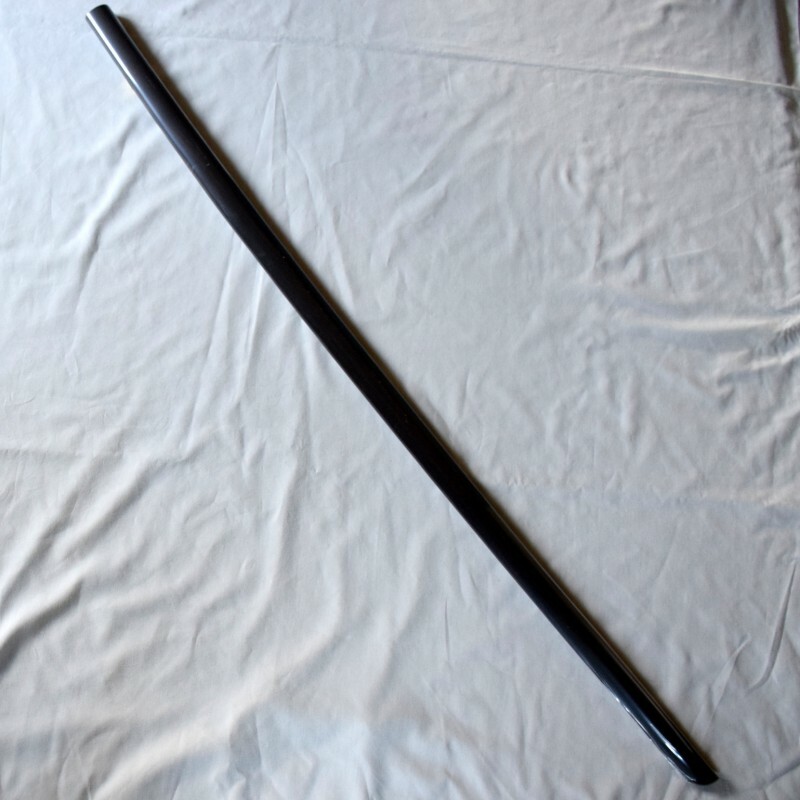 The ebony used to make this Yagyu Ryu Bokken is of high quality, dense and hard. 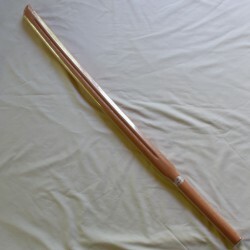 It gives this bokken a beautiful shiny surface. 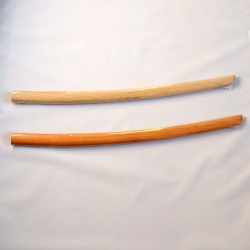 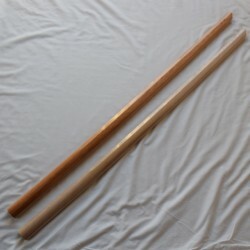 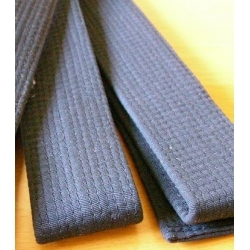 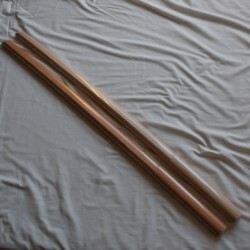 These bokken are made from Japanese oak in Kyushu (southern Japan) by NIIDOME Bokuto Seisakujo in Miyakonojo in Kyushu. 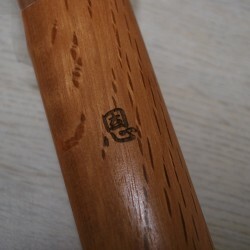 This company uses wood from a tree of about 300 years old.